How do I choose the right birth injury lawyer for my case? Upon receiving a birth injury diagnosis, many parents are left wondering what their next step should be. If you suspect that the birth injury was caused by medical malpractice, it may be wise to hire an attorney. A good birth injury attorney can obtain the financial recovery necessary to pay for the numerous expenses associated with raising a child with a chronic health condition or disability. Moreover, they can hold negligent medical professionals and organizations accountable, getting justice for your child and preventing similar harm from impacting other babies. It is very important to choose the right lawyer: one who is highly experienced in this specific type of litigation and genuinely cares about helping your family. The best birth injury attorneys exclusively practice this type of law and are confident enough in their abilities to work on a contingency fee agreement. This means that you would pay nothing throughout the entire legal process unless they win your case. Throughout this page, we’ll offer further advice and guidelines to keep in mind when searching for the right birth injury lawyer. 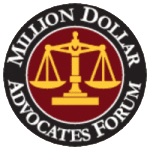 What is the attorney’s legal focus? Many general practice and personal injury attorneys will advertise birth injury services. However, in reality, many of these firms do not handle birth injury cases personally. Instead, they simply refer birth injury cases to niche firms in order to collect part of the final settlement amount. It is better to hire an attorney and firm that exclusively focus on birth injury law. They are much more likely to have the depth of knowledge in law and healthcare that is necessary to win these complex cases. Another advantage of going with a firm that focuses exclusively on birth injuries is that the attorney handling your case will also have extensive support from their coworkers. All of our attorneys are highly qualified, but they each have distinct strengths, and benefit greatly by being able to draw on each other’s experiences and knowledge. How closely does the attorney work with medical professionals? Although the best birth injury attorneys should themselves have extensive knowledge of obstetrics, neonatal care, etc., assistance from medical professionals can be invaluable in interpreting medical records and understanding complex medical information. In addition to consulting with outside medical experts, the best birth injury firms have in-house medical teams. Click here to learn more about our in-house nurses, Andrea and Lesley, and how they contribute to our cases. What other experts does the attorney work with? A great birth injury attorney should have a large network of experts to collaborate with. You can ask about their involvement in important legal groups such as the Birth Trauma Litigation Group (BTLG) and the American Association for Justice (AAJ). Click here to learn more about our attorneys’ participation and leadership positions in legal groups. How much does the attorney know about the specific birth injuries your child sustained? For example, if your child has hypoxic-ischemic encephalopathy (HIE) because doctors ignored signs of fetal distress, you should look for an attorney with experience handling similar cases. Our attorneys are particularly knowledgeable about cases involving HIE and cerebral palsy (CP), but we may also be able to handle cases involving a wide variety of other birth injuries. What is the attorney’s record of verdicts and settlements? Most attorneys will list verdict and settlement amounts on their website. However, it is important to note that different firms calculate these amounts differently, and some numbers may be deceptively high. Click here to see our case results, and here for a transparent explanation of exactly what these numbers mean. Would you have to pay for legal services upfront? Ensure you will only be charged if the firm wins or settles your case in your favor (a contingency fee policy). This means that you cannot lose money while pursuing a case. What do former clients have to say about the attorney and firm? Check out client testimonials and reviews on their website (see ours here). You can also look at reviews on Google, Facebook, and other sources. What other qualifications does the attorney have? You may want to check out their CV (our attorneys’ CVs are included as part of their bios). Attorneys who are highly invested in birth injury law will not only have an extensive history of handling these cases, but will also have related professional experiences and accomplishments. For example, they should regularly participate in conferences/educational events related to birth injury litigation and obstetrical/neonatal medicine. This may involve membership in relevant organizations such as the Birth Injury Litigation Group (BTLG). The most qualified birth injury attorneys should also be recognized as experts in their field. Signs of expertise to look for include speaking engagements (e.g. at conferences), peer-reviewed publications, and legal awards. 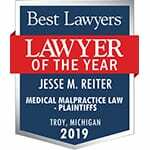 Please click here to learn about the awards our firm and attorneys have won, and here for a list of our publications. Information on speaking engagements is available in each attorney’s bio. Does the attorney’s personality seem like a good fit? Make sure you find an attorney you are comfortable with. Remember that it is their job to answer your questions and keep you informed throughout the legal process. You’ll want to find one who is friendly, patient, and has good communication skills. We know just how important it is to find a birth injury attorney that you trust and feel confident in. We have done our best to describe our experience and values on our website, but we are also more than happy to answer any questions you may have over the phone. These include questions about our firm, individual attorneys, the legal process, etc. If you choose to pursue a case with us, we want that to be a fully-informed decision. Medical professionals are obligated to do all they can to prevent birth injuries. If they fail to provide proper care during pregnancy, birth, or the neonatal period, this is negligence. If their negligence causes harm, it constitutes medical malpractice. To find out if you have a case, contact ABC Law Centers. We have numerous multi-million dollar verdicts and settlements that attest to our success, and you pay nothing until we win your case. We give personal attention to each child and family we help, and are available 24/7 to speak with you.